If you are a regular reader then you may have seen my big confession a couple of weeks ago. About the disorganization. And mess…. And the difficulty I am encountering with purging and organizing and storing children’s school work. Well, Maids.com also heard about my struggle with this comment problem and inspired me to find a great solution. 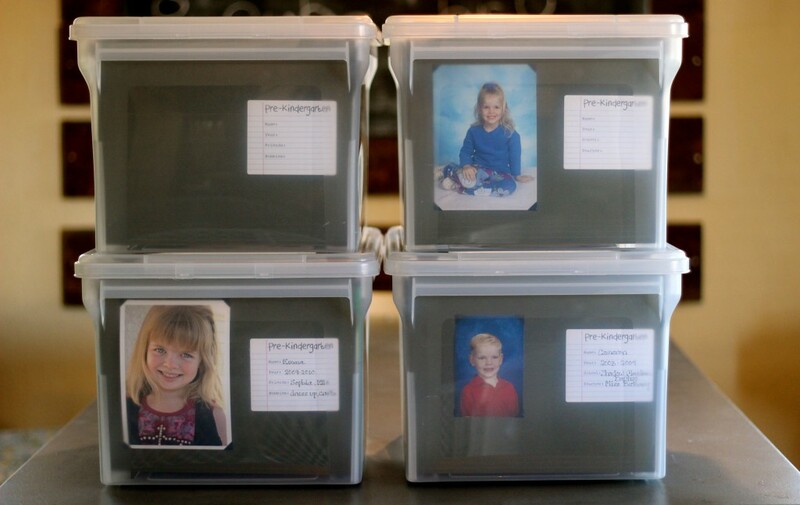 Probably the fastest and easiest method for organizing and storing children’s school work is simply to place it by grade level into separate bins, boxes, or envelopes. While this method has the advantage of being quick and easy (and perhaps more likely to keep up with as a result of it being quick and easy), it also makes it more difficult to view the work again when you want to enjoy it. 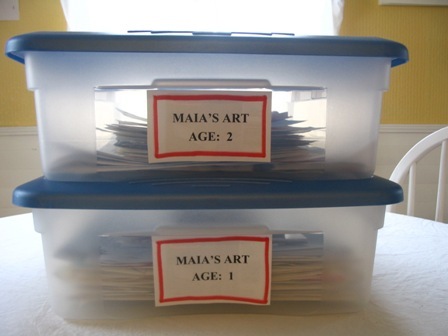 A Manilla Folder/Box Solution and great tips for sorting, organizing, and displaying children’s school work at 733 Blog. 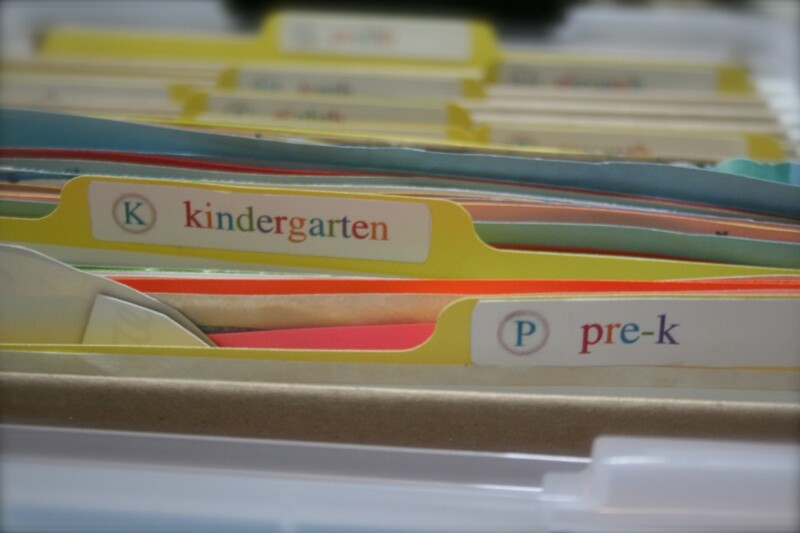 Many of the solutions for organizing and storing children’s school work that I came across involved a filing system of some kind. The advantage here is that you could include all kinds of keepsakes and important documents in a file; and while it is easy to look things up by age or grade; files still don’t make for an easy viewing method. But it is definitely easy to put together and simple to keep organized and keep up with once you get it going. 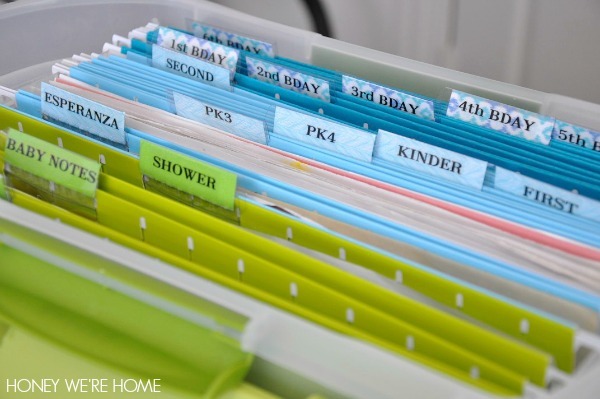 I love this amazing filing system – plus she gives awesome details about keeping a photographic record as well at Honey We’re Home. A great filing system at The Simple Proof. 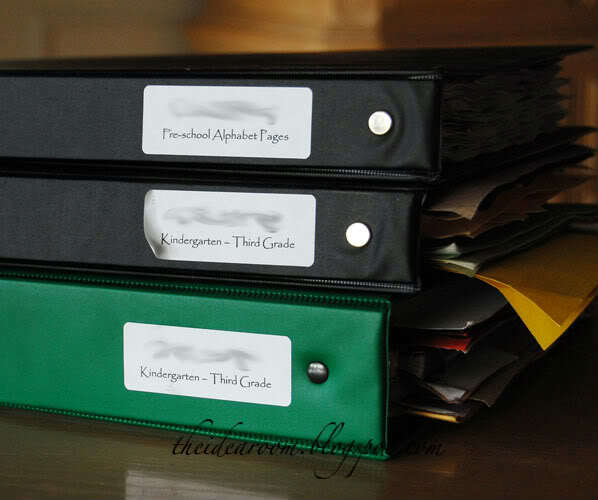 The second most popular method for organizing and storing children’s school work that I found through my research was using some version of a binder storage method. This method has the advantage of being fairly easy to assemble and keep organized and also allows for very easy future viewing. The issue here is that all these binders could really begin to take up a lot of space. 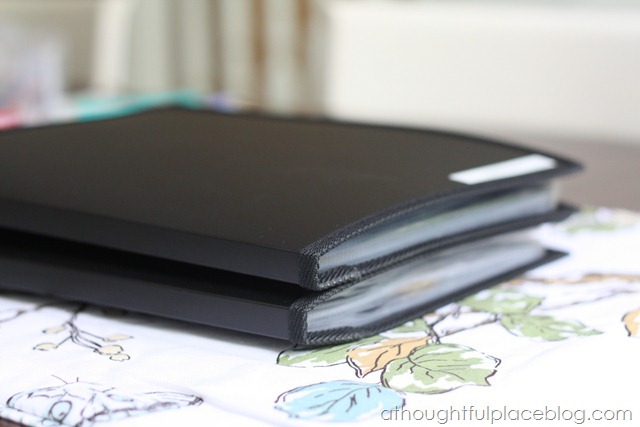 Also, larger pieces of art or larger projects can be difficult to store in a binder sleeve. 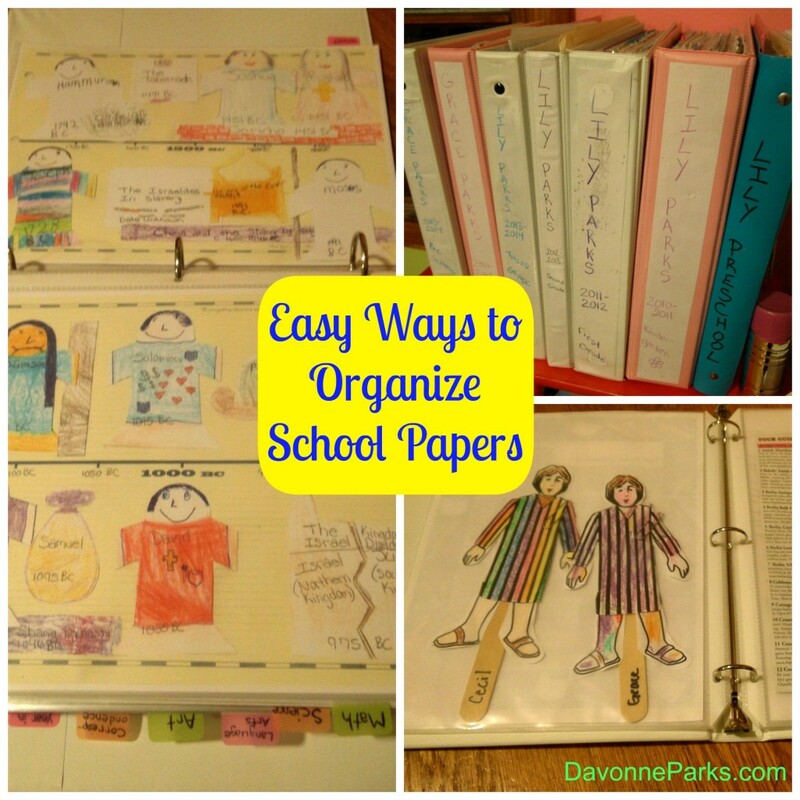 I like how easy it is to see the artwork and projects with this organized binder system – and she also gives some great tips about what to keep and what to purge at Davonne Parks. 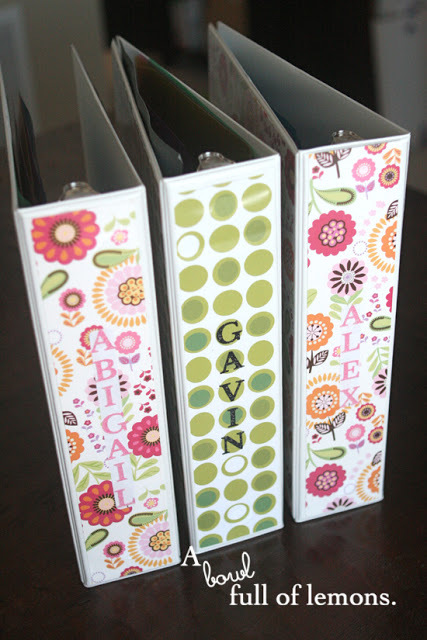 I love the special additions that she made to this amazingly organized binder system at Make Life Lovely. You’ll want to check out how inspiring her finished product is! Schoolwork Binders at The Idea Room. One method that I came across and really loved was this idea to use Artist Portfolios. I especially like the idea of using these pre-made porfolios that allow you to store larger art pieces then a traditional binder would. They also seem like they would be fairly easy to keep up with once you got the system into place, but could also end up taking up quite a bit of space depending on how well you purged your selections before storing them. 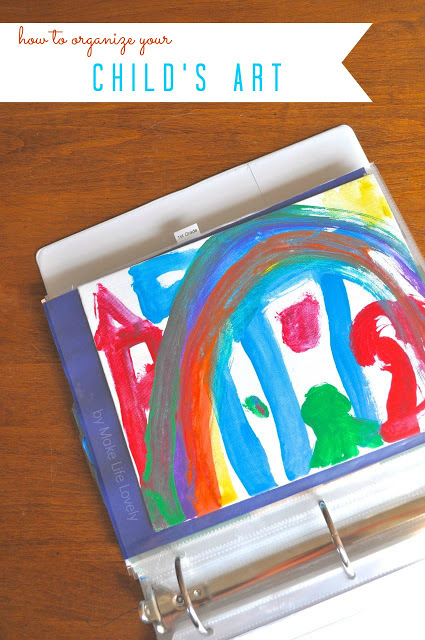 The final method I came across for organizing and storing children’s school work was using a scanner and creating a digital scrapbook album of you children’s work. I absolutely love how gorgeous the finished product looks, and the books are definitely small enough that they are easy to store while also allowing for maximum viewing. But I’m not sure about actually getting rid of all the physical pieces. Isn’t there something special about actually holding the object in your hand?? It’s like that whole debate about books versus E-readers. There is something different about holding the actual object then having a digital image of it. While I love the gorgeous appeal of these types of scrapbooks, the jury is still out for me on whether I could actually purge the real-life-artwork. I might have to keep both the album and the original! 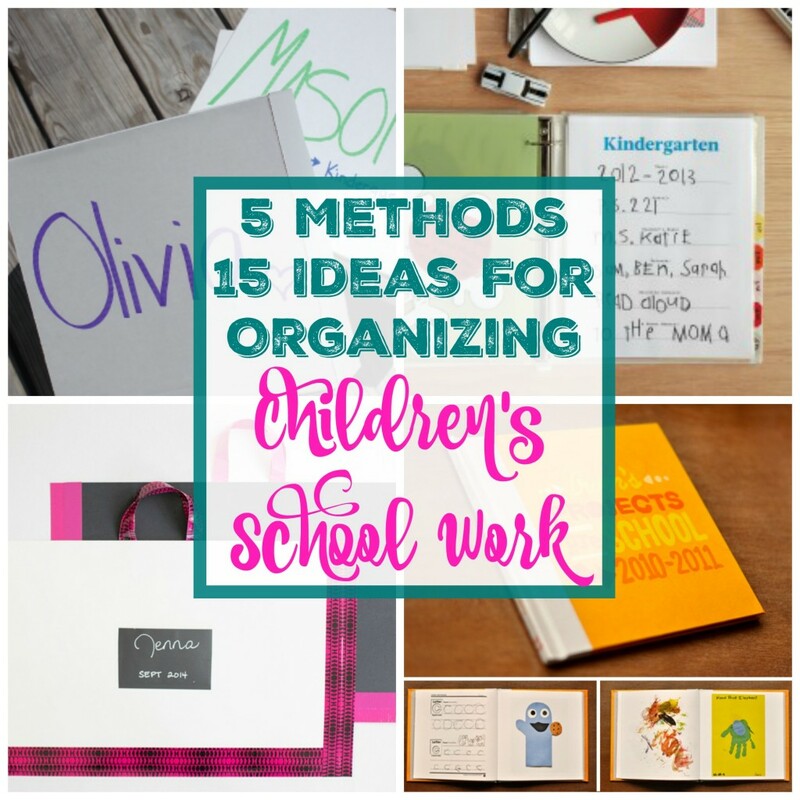 Need more ideas for organizing and storing children’s school work? 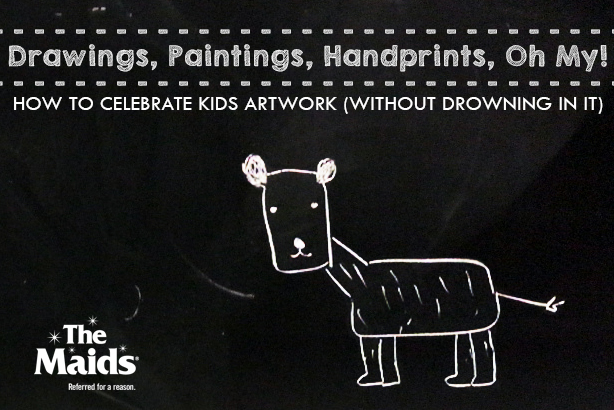 Check out these Maids.com tips for organizing and celebrating your children’s artwork. Did you find a little inspiration?? Although I haven’t quite tackled this issue yet, I do think I have a much clearer idea of where to go with this issue… and I think I’ve decided what will work best for our family. I know that I’m ready to tackle this problem – it’s driving me bonkers! But what do you think? Any inspiring ideas?? Disclosure: Thanks to Maid.com for inspiring me to find a solution to this organizational challenge that continues to plague our home! The method #5 is my favorite! 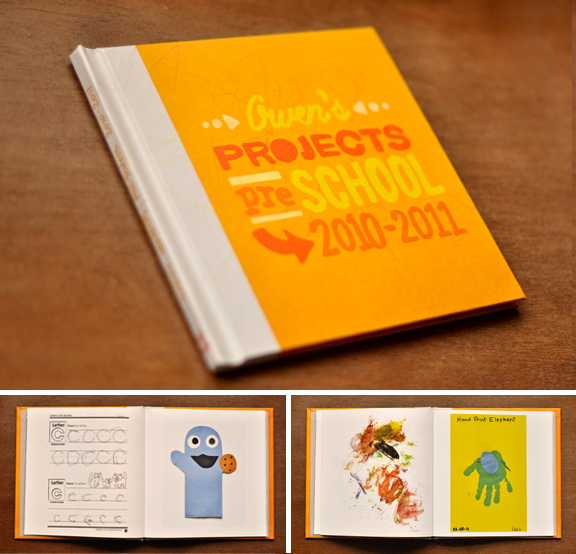 Shutterfly or any other book printing would be a great gift for grandparents. Love it! I am currently using the binder and just save the best stuff in clear page holders. My daughter is now 12 and I think the longer it goes the more appreciative she will be that I saved her art. Another great idea, especially if you have multiple children, put the art in matching frames and just replace the pieces every month, have like a family exhibit of the month or quarter. 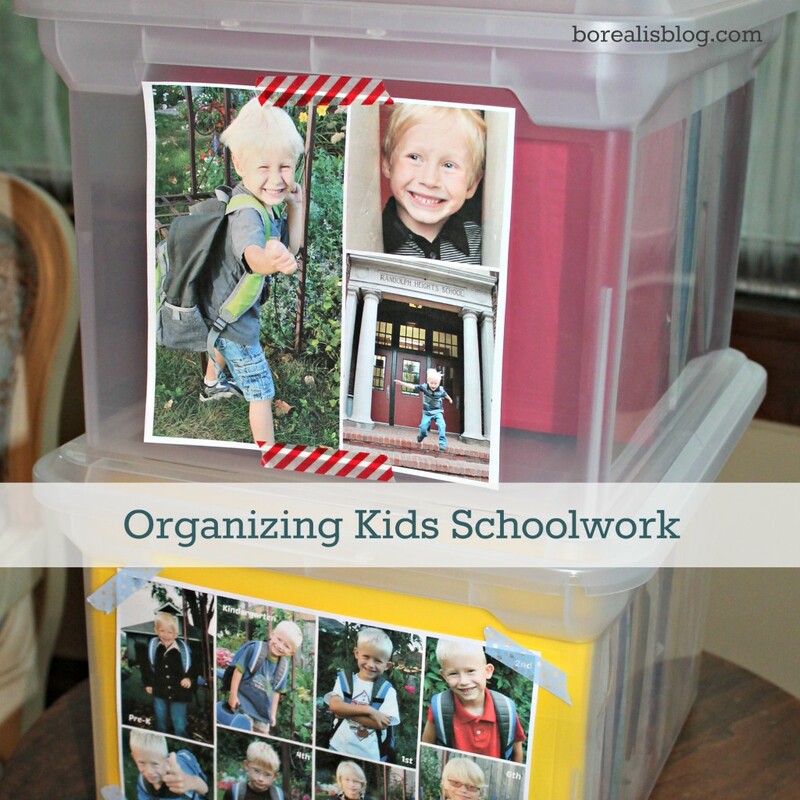 Thanks for sharing kids storage ideas for organizing and storing children school work. It will be helpful for every mother. Krista, wow so many great ideas. Would love to add one more – The Keepy app – which helps parents to organize and save the artwork schoolwork and mementos even with voice and video narration. Thanks Krista! 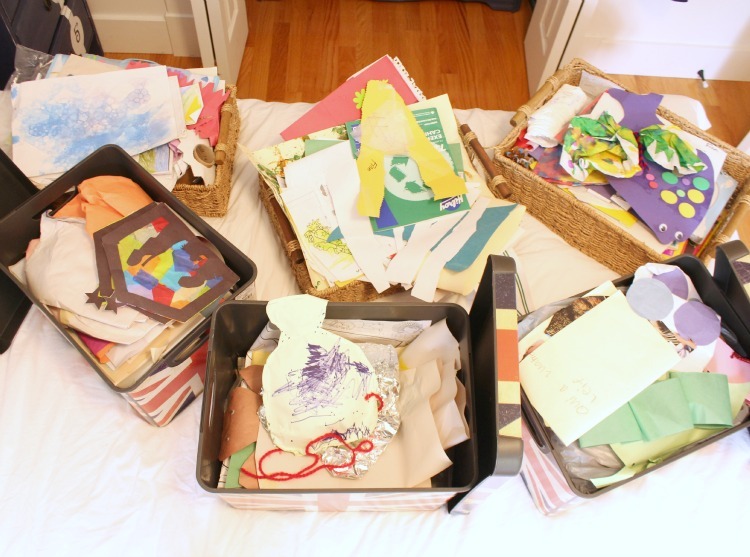 This is a great list of options for organizing kids artwork! 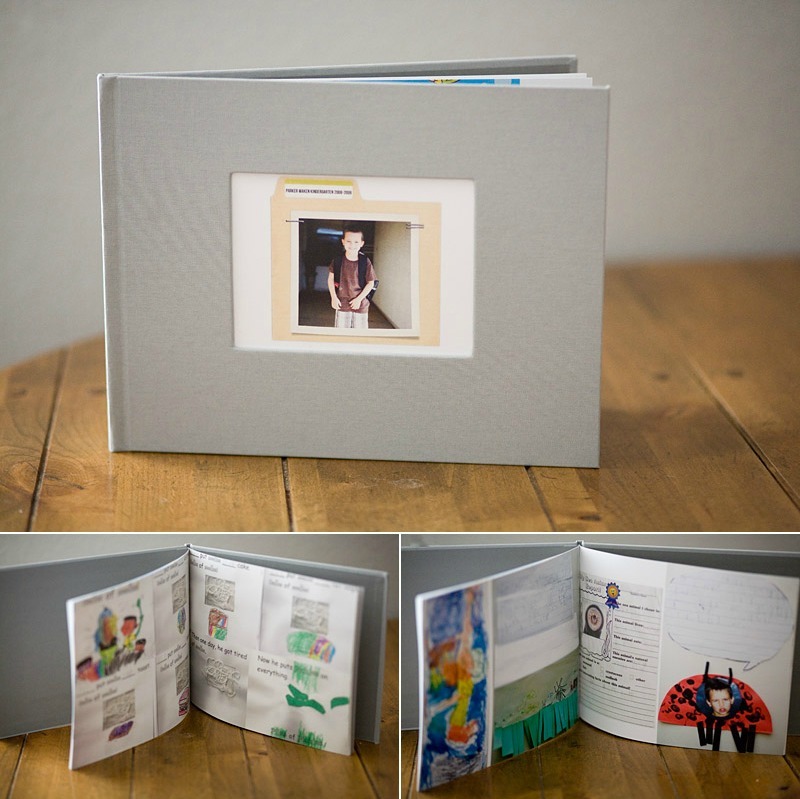 Your readers may also want to check out this post that includes a step-by-step guide to digitizing your kids’ artwork and transforming it into cool products like photo books using an app called Arkiver. I love keeping originals too. 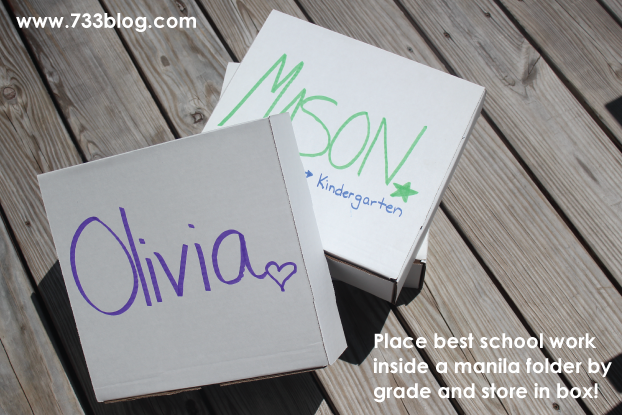 To sort, try a magazine box for each kid per year. That works well too. Hi Krista,what are your thoughts on 3D objects. Do u still keep ones that take up space. I have a foam object covered in felt.not sure what to do with it.Any ideas? Haha Kristi, so much for the KonMar method on this one, right?! Love all of these brilliant ideas, Krista! Organization just makes me giddy. 😉 Thanks so much for sharing! I use manilla envelopes. Simple, cheap, and easy-to-label. A great strategy as well – and then do you keep them all in a tote of some kind?? I love the idea of scanning and making a book but I love the originals too! I get rid of most papers and small things but keep anything with hand prints, foot prints or really nice work. A few writing samples to show growth but that’s about it. Mine are in a box, sorted by age for the most part. Some are framed and hanging in various rooms. Sounds like you have it all figured out already! That is great. I spend so much time each year putting together a nicely organized scrapbook for my Kindergarten students to take home with all their key art pieces and writing, but I haven’t even done the same for my boys. Bad, right?! ?